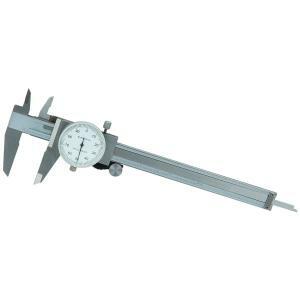 102001 0-6" Precision Dial Caliper . Covered rack for longer life and chip free operation. 4-way measurement for outside,inside,depth and step. Positive lock. Adjustable dial for easy reading. Fitted case. One revolution. 0.001" graduation.